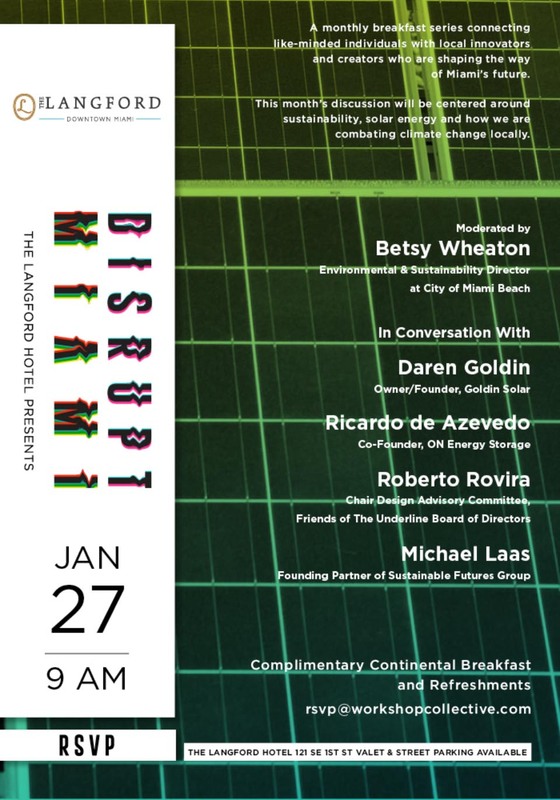 Roberto Rovira will be representing The Underline at the next installment of the Disrupt Miami series at The Langford Hotel in Miami. “This series offers a platform to connect like-minded individuals with local innovators and creators who are shaping the way of Miami’s future. In the past, conversations have centered around Miami’s thriving arts community, Downtown Development, Miami’s Music Scene and the people and organizations behind them.